Here at P.A.T. Products we get excited when our business grows and changes. Part of our model is to embrace change as a fundamental component of our business. When our customers try a new and untested manufacturing method, we are there next to them making sure our products continue to work for them. When our suppliers restructure their businesses or introduce new products to market, we are there with them to see it though. 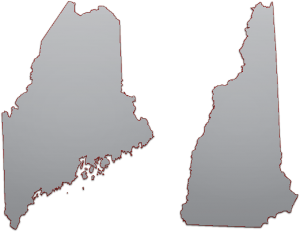 Today in the Bangor Daily News an article painted the opening of our new office in New Hampshire as a “move” to New Hampshire; or that we were “leaving” Maine. We opened our New Hampshire office to continue to grow our business. We have not left Maine. The Bangor office is open for business and will continue to be for the indefinite future. The opening of new offices is part of the growth of our business. There is great value in having key personnel in both Maine and New Hampshire. The spirit of “Vacationland” combined with the ethos of “Live Free or Die” - You can’t go wrong with that combination.